Kindergarten-age son visits his terrorist father, hides cell phones, SIM cards, in underwear. 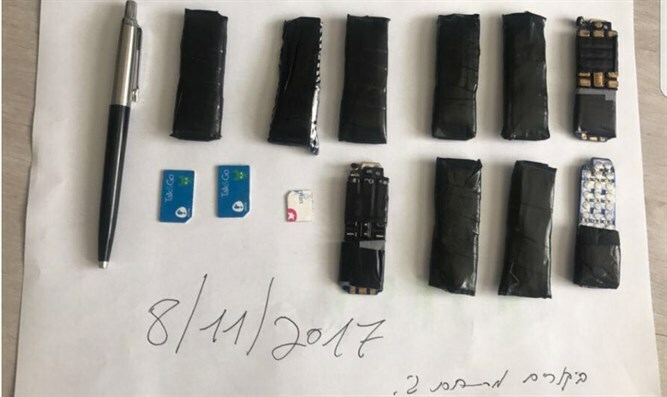 Israel Prison Service officers on Wednesday foiled an attempt to smuggle SIM cards and cellular phones and to a terrorist jailed in the K'tziot Prison. During a family visit in the jail, the officers noticed the prisoner's five-year-old son moving suspiciously. A search of the child's body revealed that the child held ten small, homemade cellular phones and three SIM cards in his underwear. The prisoner was isolated and an investigation has been opened. Last month, indictments were filed against five people who worked to transfer cellular phones, as well as chargers, earphones, and other items, to jailed terrorists.